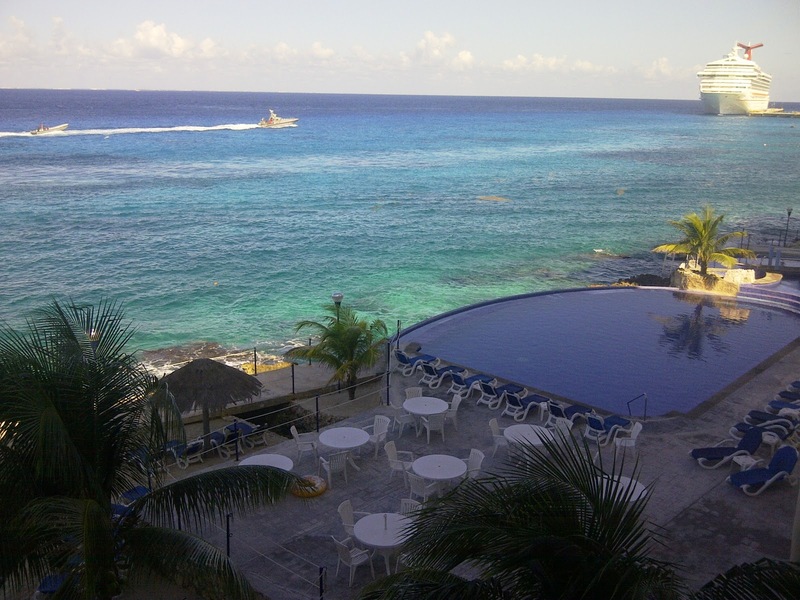 Hop on a plane to the Mexican Caribbean, and find an awesome condo with a killer oceanfront view. 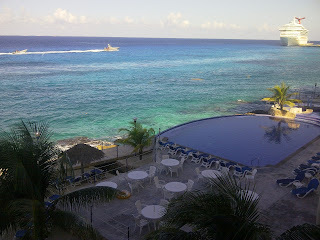 Sit on the deck and watch the boats go by in the aquamarine sea. View from the deck. Not shabby at all! Go for your first outdoor ride on your tri bike in months (yes, months!). Pick a nice, flat road with a swift tailwind for extra exhilaration. Live in the moment, relishing the feeling of an effortless (tailwind aided) 38kph in the aerobars, willfully choosing to forget how the return trip in the headwind is going to feel. Wheeeee! 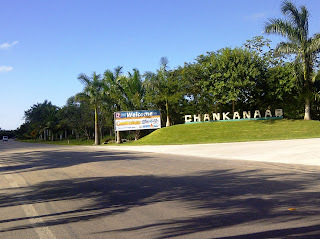 Turn off to Chankanaab, the swim venue. Lots of flat, flat, flat roads! Make tracks to an isolated white sand beach for an incredible swim in crystal clear, bathtub warm, calm reef-protected ocean. Yes, I really did use the adjective "incredible" to describe swimming. Hello little fishies! Enjoy an amazing dinner of freshly pressed corn tortillas, local avocados and peppers, grilled skirt steak (with the hottest damned jalapenos ever), yummy green salsa, beans and rice.